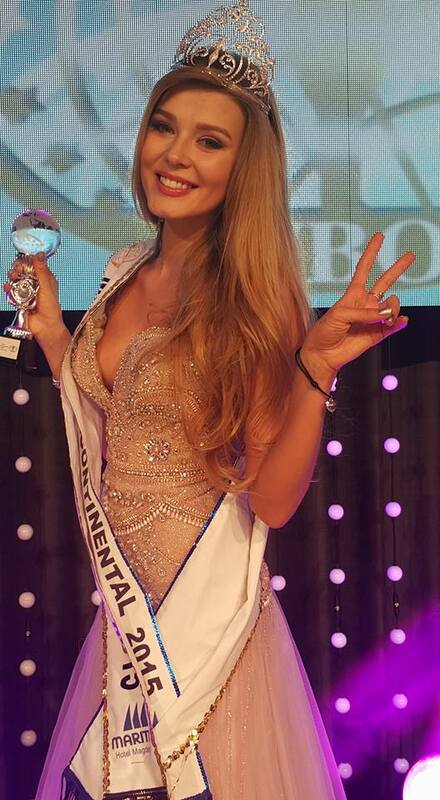 Russia's Valentina Rasulova (24) was crowned Miss Intercontinental 2015 in Germany recently. She stands 1.76m tall and is the second Russian women that took the title in the last 3 editions. Rasulova also took the Miss Intercontinental Europe title. The first runner-up and Miss Intercontinental Asia was Christi Lynn McGarry, Miss Philippines. She also competed at this pageant in 2010 when she placed in the top 15. Miss Intercontinental North America, Brianne Bailey from the USA, finished in third place. 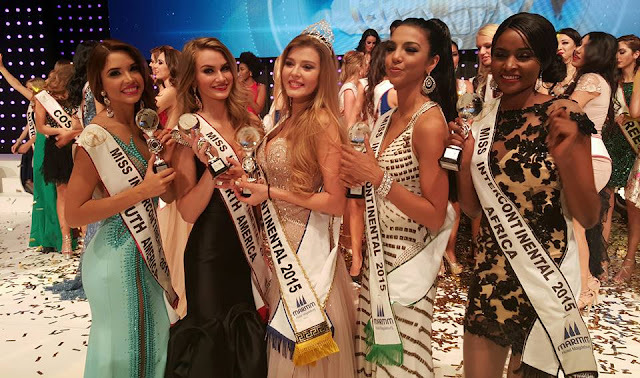 The top 5 were completed by Miss Intercontinental South America, Katherine Garcia from Venezuela, who finished in fourth place and Miss Intercontinental Africa, Tendai Hunda from Zimbabwe, who finished in fifth place. The top 17 were completed by the delegates from Austria, Curacao, India, Mexico, Poland Puerto Rico, San Marino, Sao Tome and Principe, South Korea, Thailand, the Ukraine and Vietnam.